We WILL be OPEN Wednesday, Thursday, Friday and Saturday THIS WEEK!!! (Oct 24th-27th) We are excited to see y’all at the Farm!! 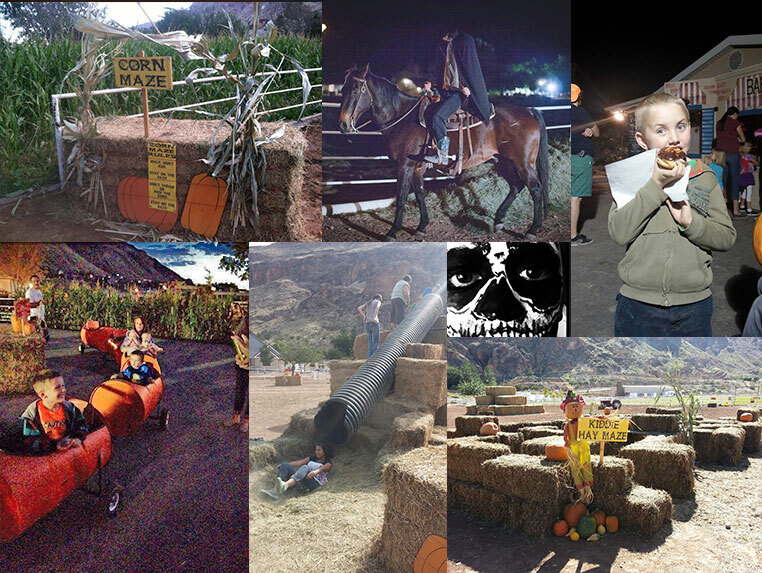 Hop on the hay wagon starting Monday October 8th and experience our Corn Maze, Horse Rides, Pumpkin Slingshot, Ichabod’s Train, and Zip Line! Race your way up the Hay Tower, Find a Pumpkin in the Pumpkin Patch and have dinner at our Delicious Bakery! Come enjoy some hometown Farm Fun! October 8th-29th every MONDAY, WEDNESDAY, FRIDAY and SATURDAY nights. 5:30-8:30 p.m.
FREE Movie in Sleepy Hollow Theater!